Cosmetics hold a vital percentage of business in today’s retail environment. Cosmetic displays are just as important as the cosmetics themselves, as they are the ones that attract and influence customers to make a purchase. It is crucial for the process of shipping cosmetic displays to be very well planned out and executed. Logistics providers must ensure that displays are shipped on time and in mint condition. Partnering with an efficient third party logistics provider can facilitate the process of shipping cosmetic displays to a great extent. However, it is essential that a retail company first researches various available logistic providers and their methods of packaging and shipping before a decision is made. Research is necessary to make a partnership decision based on the 3pl expertise in the industry. A reliable logistics service provider always places an emphasis on the planning process before shipping cosmetic displays and all other similar delicate products. Therefore, the selected 3pl company that ships their cosmetic displays must follow quality organizational practices before and during the transportation process. A sufficient retail industry logistic provider must have a well-built organizational pattern for performing effective and efficient shipping for new store openings and marketing/advertising campaigns. A reliable 3pl provider will guarantee smooth flow of activities on the promised schedule with no harm to the products. 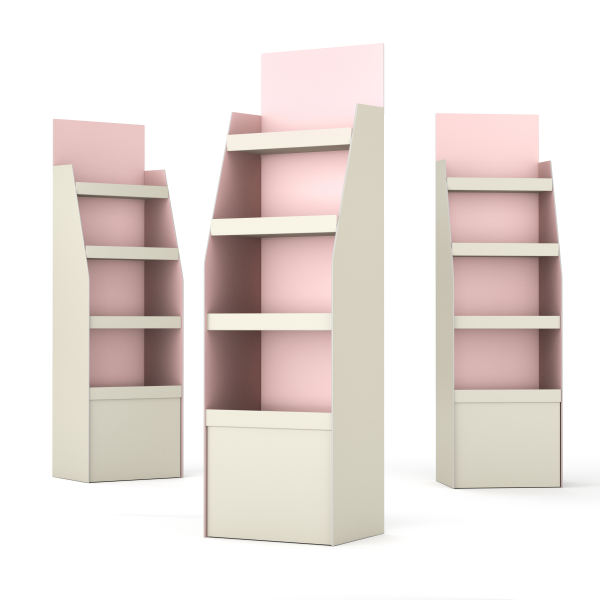 Planning a successful shipment of cosmetic displays is more than flawless organization. One of the thumb rules a 3pl provider must always follow is that the shipment is delivered on time. Either for a new store launch or re-launch of an old store, timely delivery of the products is a first demand any reliable logistic company must fulfill. With all the extra time calculated in advance, the shipment must be at required destination on or before the time. Whether the logistic company will give due care to the products during any kind of jolts, vibrations and shocks during transit. Whether the packaging and stocking will be done in a manner to prevent the products from dirt and dust. Whether the packaging will be proper to give sufficient cushions (with the help of foam packaging) to the delicate products like cosmetic displays. For a logistic company to be a reliable service provider, paying due attention to all these concerns, its organizational practices must include different handling instructions for a variety of specific goods, in this case for shipping cosmetic displays. STC logistics is a renowned name in the field of shipping products, with all means of transportation, including air, ocean, rail and ground. The company has gained trust of the big retail stores for the diligence, punctuality and transparency it has to offer to its clientele. If you are looking for a logistic company that meets all its promises, just make a call at 1-800-547-4324 for more details. To learn more about our retail procurement logistics solutions, cilck below!